So it is still winter out there. The snow piled high in the barnyard and the fields. Ice in the water buckets every morning. Taps going in and sap lines hanging in the woods. But that has not stopped some of us from thinking about spring. 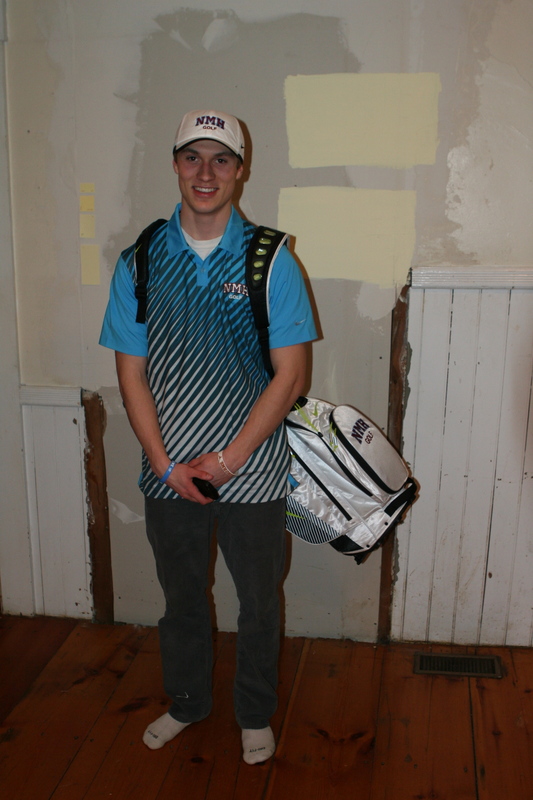 Or at least it has not stopped Nathaniel, who tried out for the varsity golf team last fall, and who this week began mashing golf balls into nets in the gym as a member of the NMH varsity team. 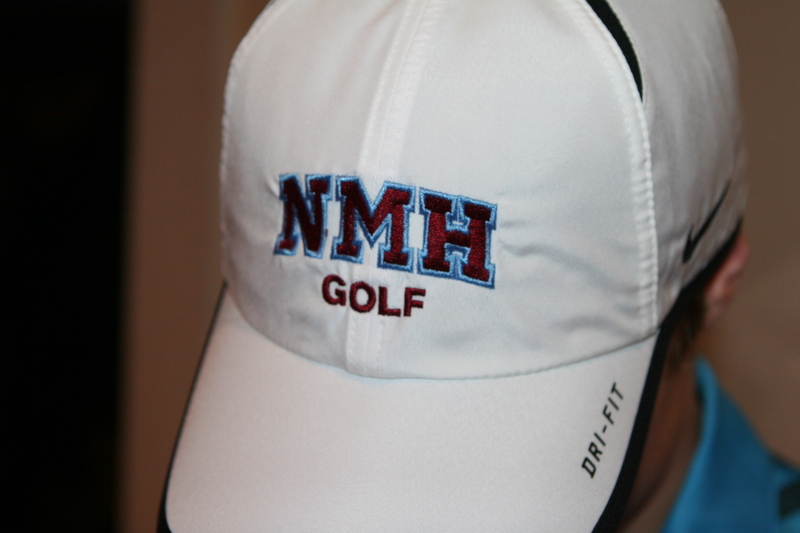 Perhaps more exciting (or “sick,” as he might say) is the arrival of the NMH bag, shirt and hat. Golf is a spring sport in the prep school world. And so Nathaniel will be both preparing for the ice hockey national championships as well as his first golf matches. Now the snow needs to melt so that he can get out on his home course. Check it out at Bernardston’s Crump N’ Fox.